My Red Carpet Girlfriends Lela Rochon and Chef Lisa Parks! Sunday is Oscar night, so my guests this Sunday are actress Lela Rochon Fuqua and Chef Lisa Parks — just a couple of My Red Carpet Girlfriends! 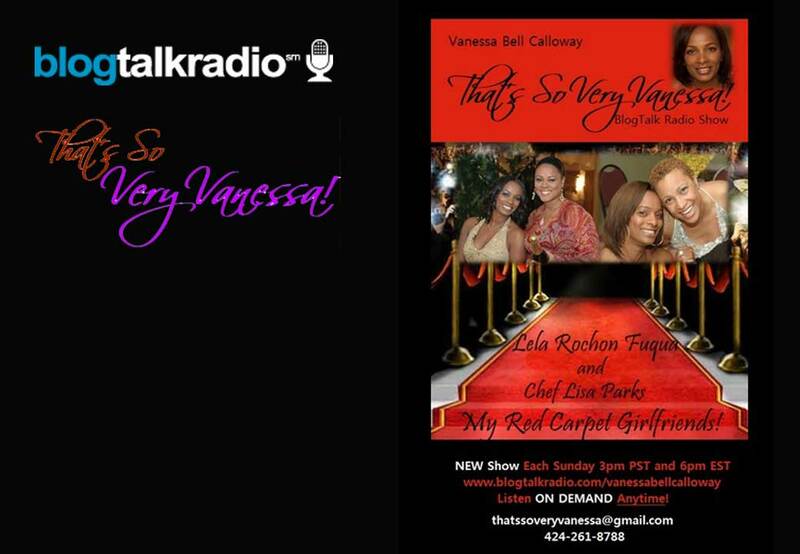 Tune in to That’s So Very Vanessa! BlogTalk Radio Show on Sunday, February 24, 2013 at 3:00 pm PST and 6:00 pm EST. Click the link to the show in the comment section below. I’d also love it if you’d share my links on your Facebook and Twitter wall!